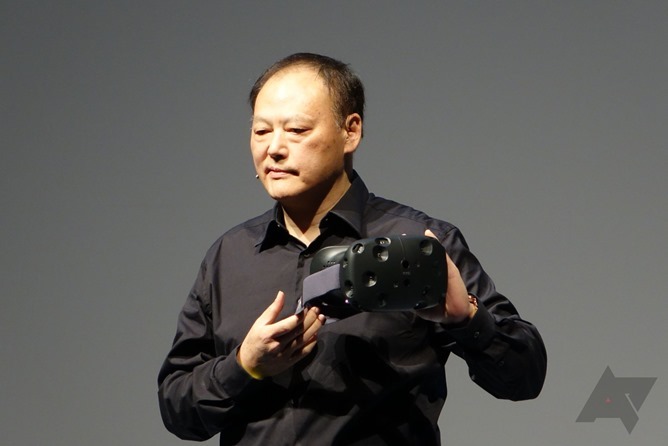 Details on HTC's hardware are scarce - to be honest, we don't even know if the Vive is running Android or compatible with smartphones in any way. 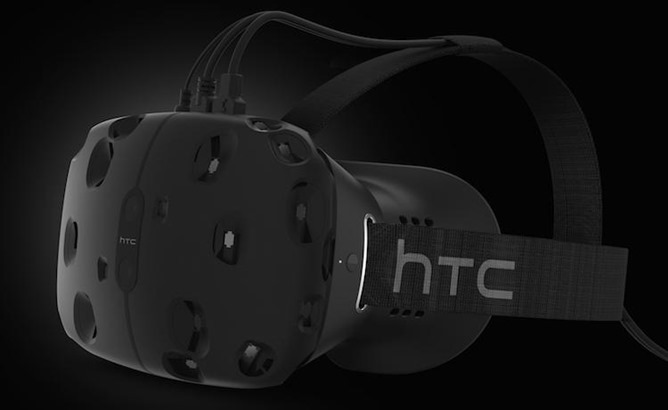 And we'd be tempted to dismiss yet another virtual reality headset as a "me too" fumble on HTC's part if it weren't for the announcement of a partnership with Valve. Yeah, that Valve: developers of some of the most well-received PC games of all time, and creators of the wildly popular Steam digital distribution platform. 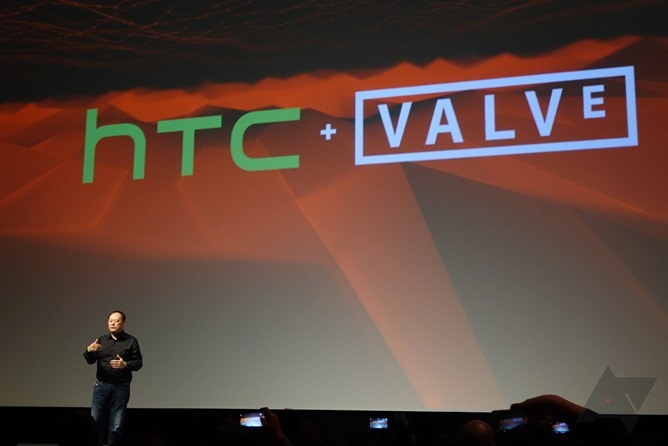 Valve has been working quietly but steadily on its own VR offering for some time, and HTC is the company's first confirmed consumer hardware partner. 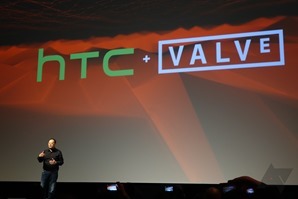 It's a strange pairing to be sure: HTC is an almost exclusively mobile company, while Valve has developed Windows software (and in the last few years, OS X and Linux) for most of its existence. 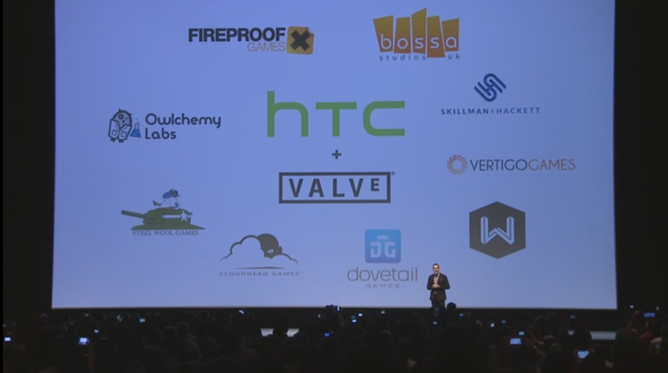 We don't know whether or not HTC will be the exclusive vendor for Valve's virtual reality platform or if this is only part of a larger rollout, but HTC has already announced partnerships with several third-party game developers, including the The Room developer Fireproof Games, Surgeon Simulator developer Bossa Studios, and Flyhunter developer Steel Wool Games. Unfortunately these developers offer a mix of PC and mobile games, so we're still in the dark as to the actual platform Vive is running on.